RCCA Elite Programmes run during the winter months at Mill Hill School. They are aimed at talented boys and girls aged 9-18 with a real passion for the sport who may be considering a professional career and are looking to accelerate their development. Elite Academy Programmes are programmes of specialist coaching from current professional and ex-professional cricketers that are ideal for aspiring county youth players. We run two Elite Programmes: Junior and Senior. These are divided according to ability rather than age, so when you book please ensure that you specify which group you would like to join. Groups are strictly limited to 6, to ensure the highest quality tuition and maximum student to coach focus so students will be selected on merit. 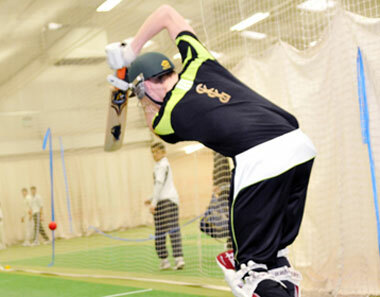 Courses cover all aspects of game play in detail, including nets, fielding, skills and drills and video analysis of play.